The Hauwei y3 smartphone is a great device with very affordable price, After the Launch of the Huawei Y3 Smartphone last week, it is now available on Konga for just N12,900. The price does not come close to the amazing features of this phone. With just N12,900, the Y3 packs all the functions you need from an Android into this device. The Huawei Y3 has a clean and sleek outlook and a structure that fits the hands perfectly without any discomfort while handling. It has an IPS display of 4 inches and a resolution of 854 x 480 pixels. Its 5MP rear camera and 2MP front camera are perfect for capturing interesting and fun moments with family and friends. Its front camera is enhanced with the beauty shot feature that allows you take flawless selfies every time. With the Y3, a power source to charge your device is the least of your problems as it comes with a high-capacity 1730 mAh battery and super power-saving mode for ultra-long endurance. For its price, we must say the huawei Y3 is very fast which gives you the power to multitask, be more efficient and productive. 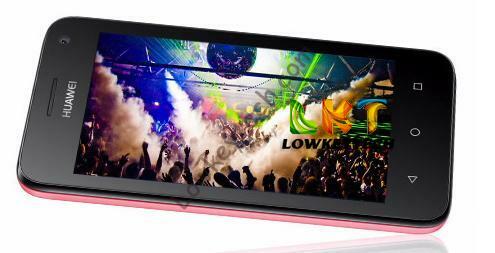 It comes with the Android 4.4 Kit Kat OS on a 1.3 GHz Quad-Core Processor. It also comes with 512MB RAM and 4GB ROM. Some of the other features are the 3G Network Support, Bluetooth 4.0, micro USB v2.0, GPS, FM Radio, Wi-Fi hotspot, DLNA, Accelerometer, HTML browser and SNS integration. Giving you the option of choosing from a range of colours, the Y3 comes in white, black, blue or red. 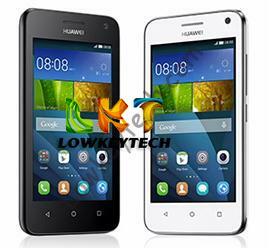 The Huawei Y3 is available on Konga.com with free shipping. 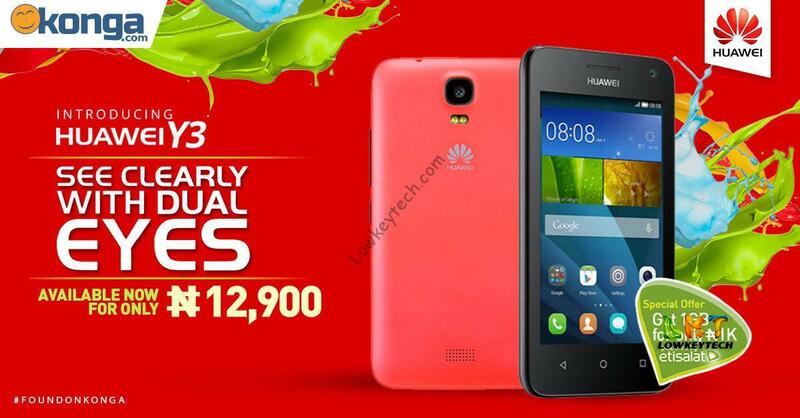 Whatever your android need, the Huawei Y3 has you covered and with just N12,900. You also get 1GB worth of Etisalat data for just N1000. Buy now!